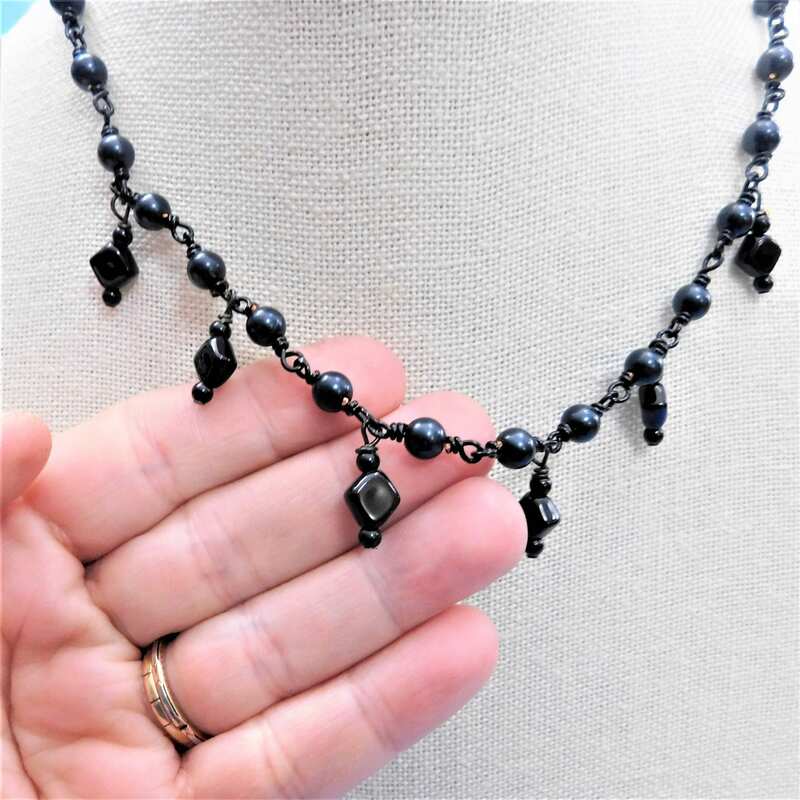 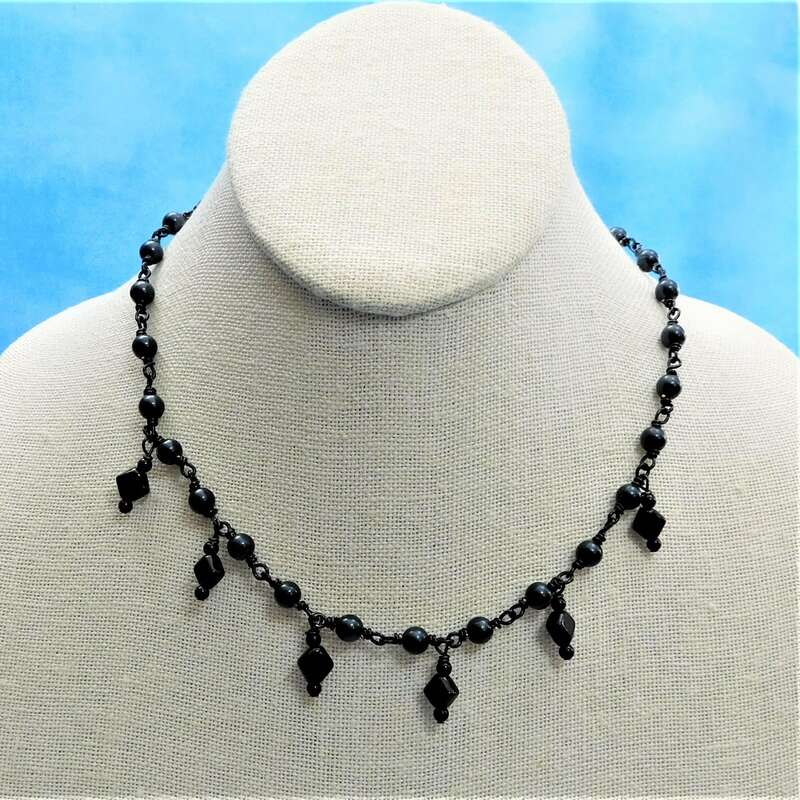 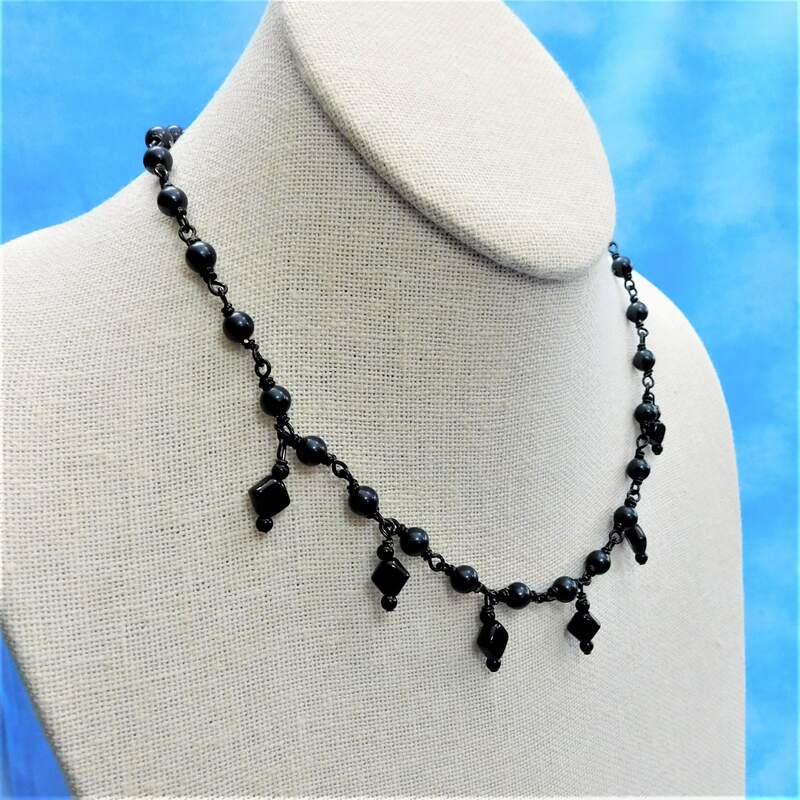 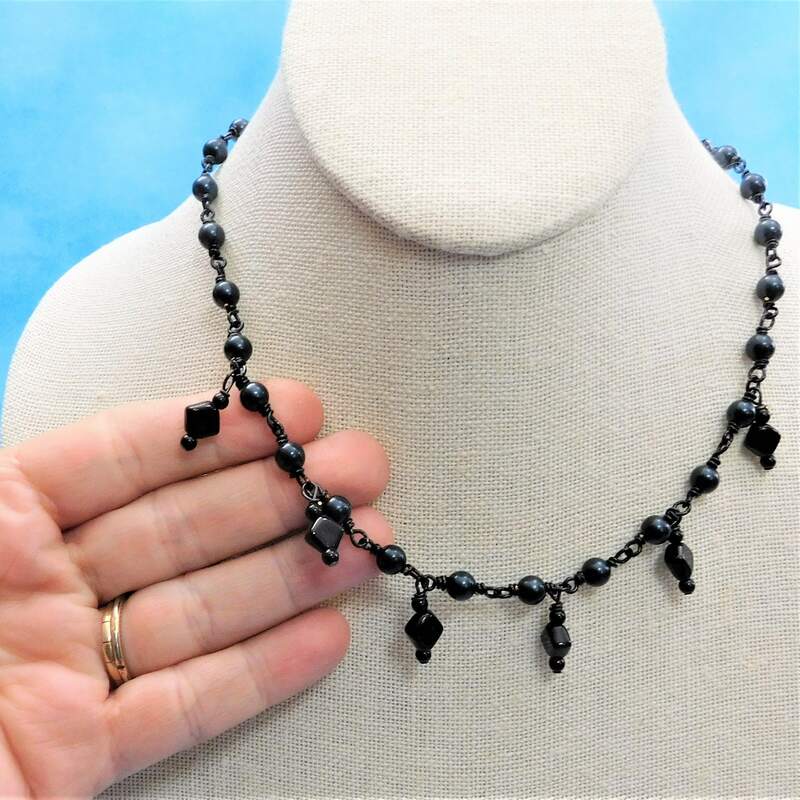 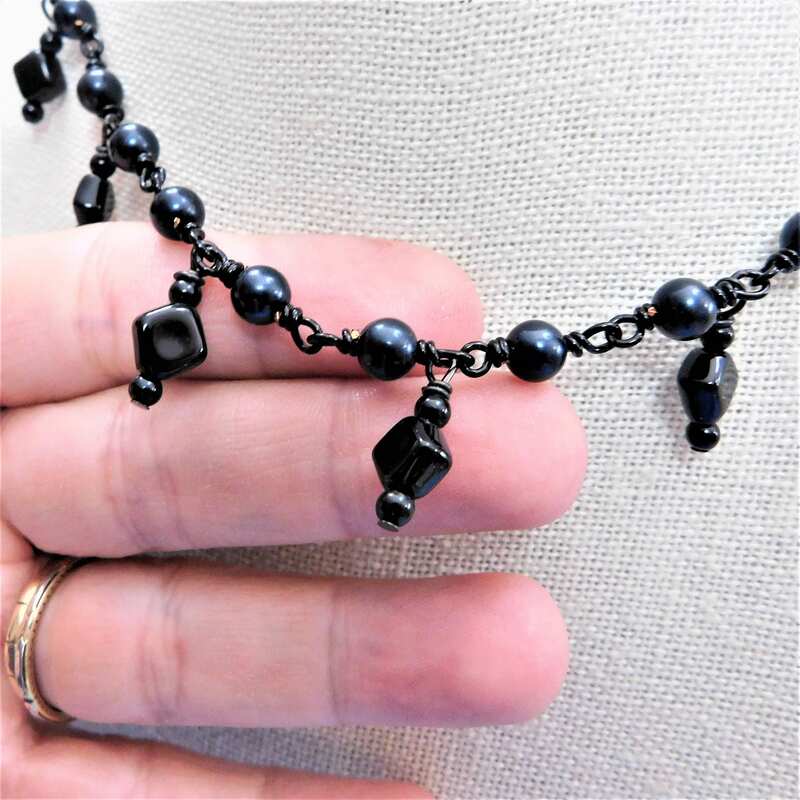 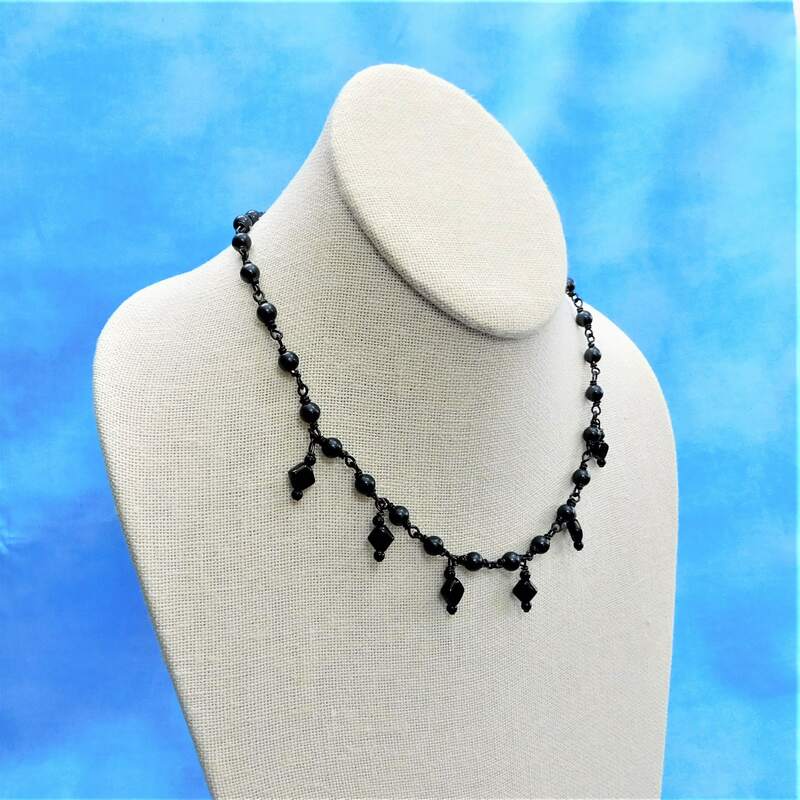 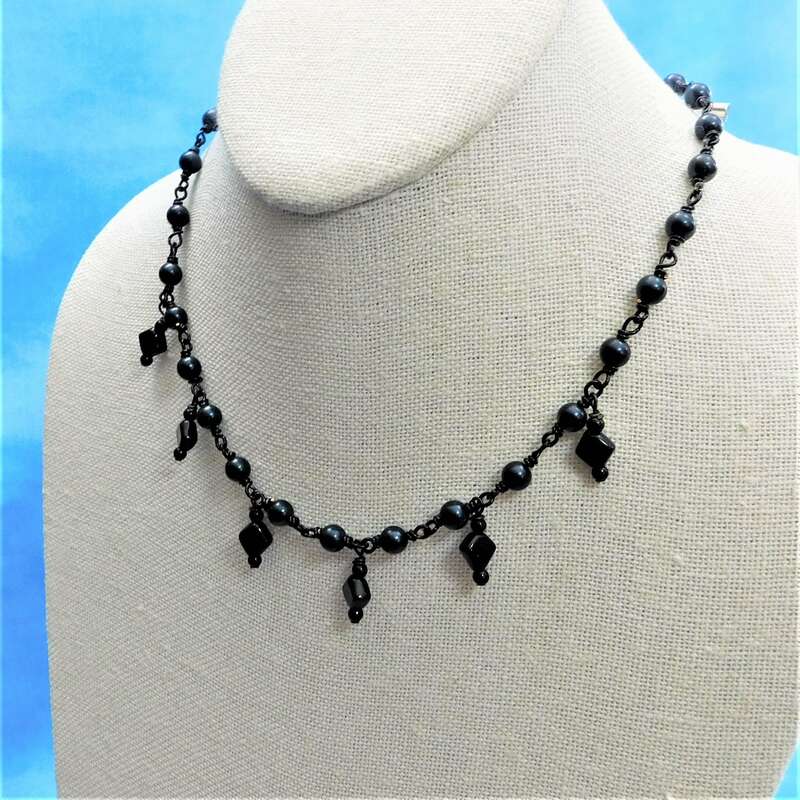 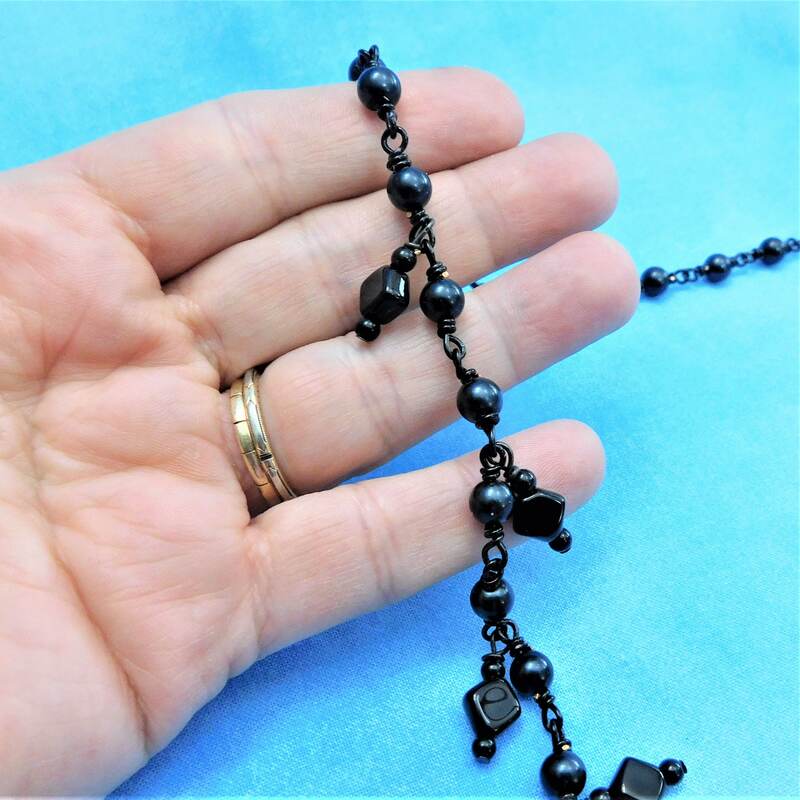 Black glass beads of varying sizes and shapes are meticulously hand wired in a beaded link chain creating a 23 inch, simple but classic strand. 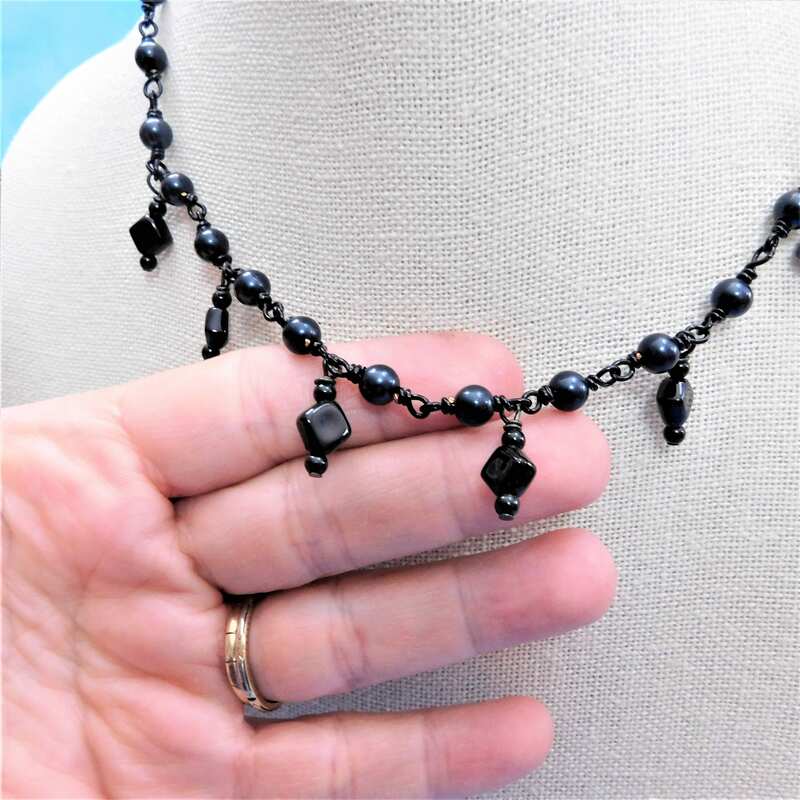 The center of the strand is adorned with hand beaded embellishments of diamond shapes, and tiny round glass beads. 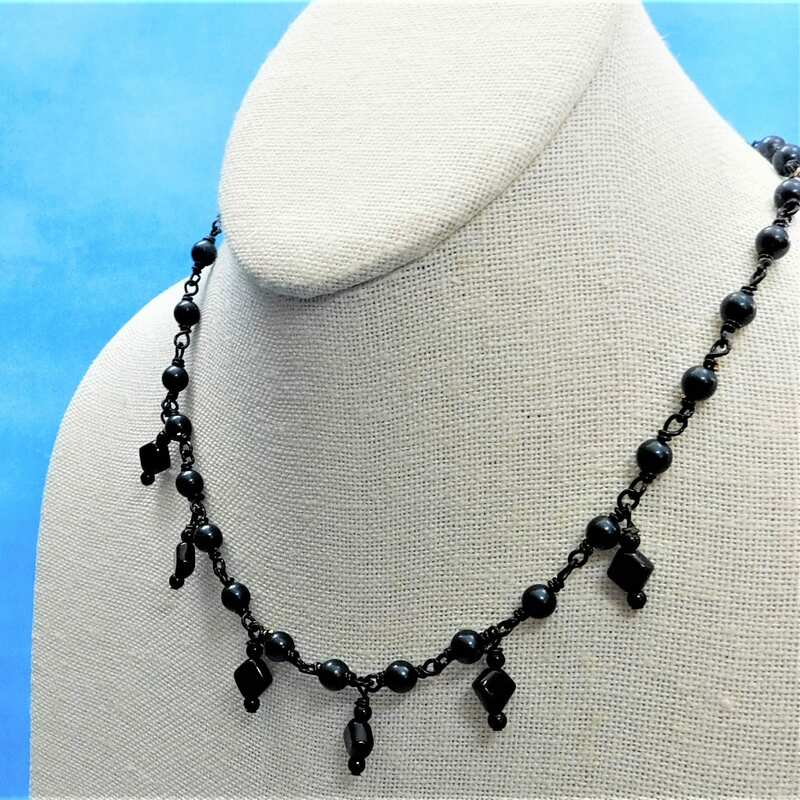 This necklace would be an elegant addition to that little black dress, or even office attire.